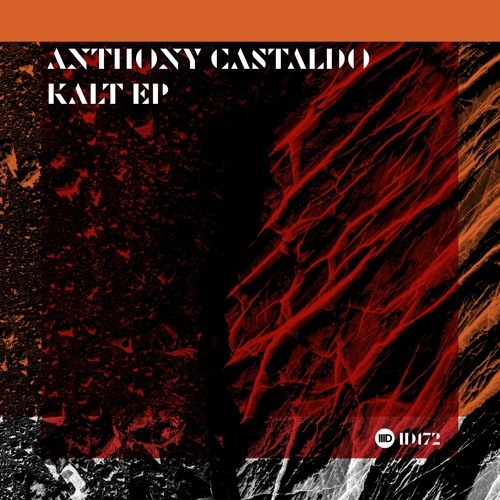 On Beatport now https://www.beatport.com/release/kalt-ep/2507408 Originally from Italy but currently UK based, Anthony Castaldo is the latest artist to join the Intec roster, and he comes to the label following previous releases on imprints such as Unrilis, Respekt Recordings and AnalyticTrail. Alongside many solo tracks, Anthony Castaldo has also collaborated with artists such as Luigi Madonna, Markantonio, Roberto Capuano have put him firmly on the map. He is constantly evolving, ever on the hunt for new, unique sounds to add to his productions, charactized by their melodies and atmospheric sounds. Popular with many of the taste making DJs of the worlds techno scene, one of his tracks was supported by Richie Hawtin in nearly all of his gigs for numerous months, and that is just one of his many noteworthy accomplishments. Kalt that features Raniero opens the EP with a stripped back sound and dark atmosphere that leads towards the main breakdown where the eerie vocal spoken in German is unleashed. The captivating spoken work combined with the menacing urgency of the lead synth give this hard hitting cut an ominous mood brimming with tension. The rattle of mechanical hi-hats over a thundering bassline sets the scene for Phase Of Love which unfolds with brooding intensity. Haunting melody synths and rubbery textures fuse with the creepy vocal drive until the sweeping pads take hold after the main break. Building in momentum, this forceful track commands dance floor respect and admiration. Closing the three tack EP is Strange Things that takes an understated approach in comparison to the previous offerings on this release, but it still packs a serious punch with its hard-hitting percussion and subtle acid squelches that sit behind the modulating lead synth. Intricate and full of drama, this track has a subtle yet effective style. Drill of Voltage! Love it!